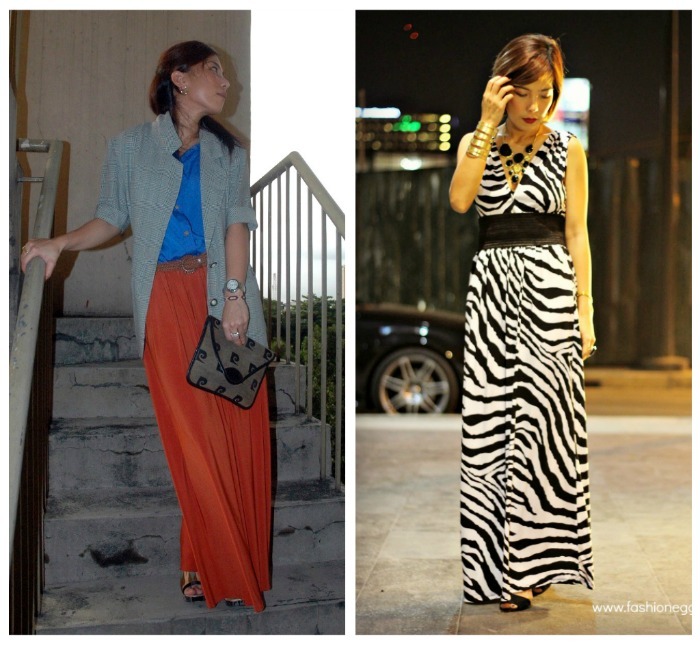 I have always loved maxi’s wether they were “in-trend” or not. There is something about the way a long skirt flows gracefully in the wind that I find irresistible. Maybe it’s the hopeless romantic in me or the frustrated flower child hippie who is just waiting to burst out at any minute that keeps these beautiful, versatile items a mainstay in my wardrobe. This “universal summer” (I’m calling it universal because it is quite rainy lately in my part of the world), I have much to rejoice about because my beloved maxi was once again declared to be of the hottest things to be seen in this season. Why am I happy? Because when something is declared a trend, it equals to more choices and variations. People get creative and come up with new ways to sell it which is A-okay in my book. 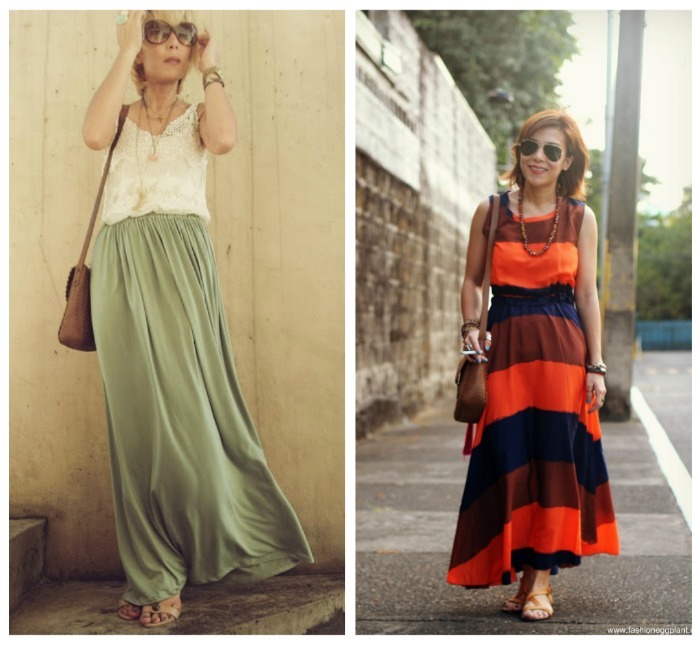 This year, maxi’s aren’t entirely restricted for those who are into the boho trend. The numerous up-to-date variations allow all of us to enjoy the elegant, chic and sophisticated style of a long flowy skirt, no matter what our preferences may be. And lastly, a common misconception is that maxi's aren't a suitable style for petite women to wear. I beg to highly disagree. I find that the right silhouette has the power to slim and elongate rather than to stunt. It doesn't matter if you're tall, thin, short or fat. There is a maxi style to suit everyone's body type, you just need to go out there and see which one works best for you.